Frank Carlyn quarrelled with his gamekeeper Jack Winter, and then appeared agitated. Soon after, Winter was found shot dead with his own gun. Suspicion was primarily aimed at the late man’s wife, seen rushing to catch a London train, and then vanishing. One year later, the enigmatic governess Elizabeth Martin arrives to take up her duties at Davenant Priory. Her appearance means nothing to the almost-blind Sir Oswald, though others in the household note her dyed dark hair and the smoked glasses she habitually wears. But what is Miss Martin’s secret and how is it connected to the sinister slaying committed twelve months earlier? 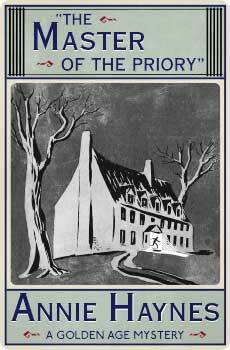 The Master of the Priory (1927) is a classic of early golden age crime fiction. This new edition, the first in over eighty years, features an introduction by crime fiction historian Curtis Evans.